theZoomer: Television For Boomers With Zip! 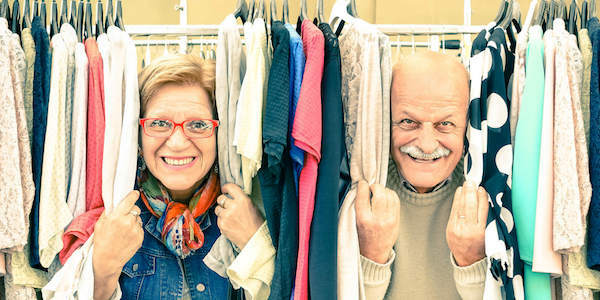 Spring Cleaning Begins by Springing the Clutter from Your Home - theZoomer: Television For Boomers With Zip! With the weather warming up, many of us are parting the curtains, opening up our windows, and allowing the sun and fresh spring air to whip through the household. As beautiful as that sounds, shining spring’s light upon one’s home can also draw attention to just how much winter’s wrath kept us shovelling snow, instead of cleaning our closets. We’ve all been there: stuck behind a mountain of sweaters, tucked up against a tall stack of trousers, or eyeballing each step so that we don’t trip upon strewn about shoes. Some of us can push through these obstacles and organize ourselves back to safety. For those who can’t however, there is help. In a new report from ZNews, videographer Darrin Maharaj introduces us to Varsha Singh, the owner of ClutterBGone, a company that specializes in reorganizing homes and offices. Additionally, ClutterBGone helps people transition into smaller spaces when downsizing, and assists those who struggle to part with the items of a deceased family member or friend. You can watch this report below. For much more on de-cluttering, downsizing and the benefits of the popular trend of smaller space living, watch theZoomer on VisionTV, Monday, June 4 at 10pm ET and Friday, June 8 at 2 & 11pm ET. When it comes to cleaning out our closets, some of us embark upon this task in order to make space for the newest, hottest fashions that we can’t live without. To get to this point, though, it helps to know what’s in style, and what’s out. On a recent episode of “theZoomer,” style and beauty experts joined host Marissa Semkiw to provide insight on some the best new fashion and health trends for Zoomers. You can watch this episode below!